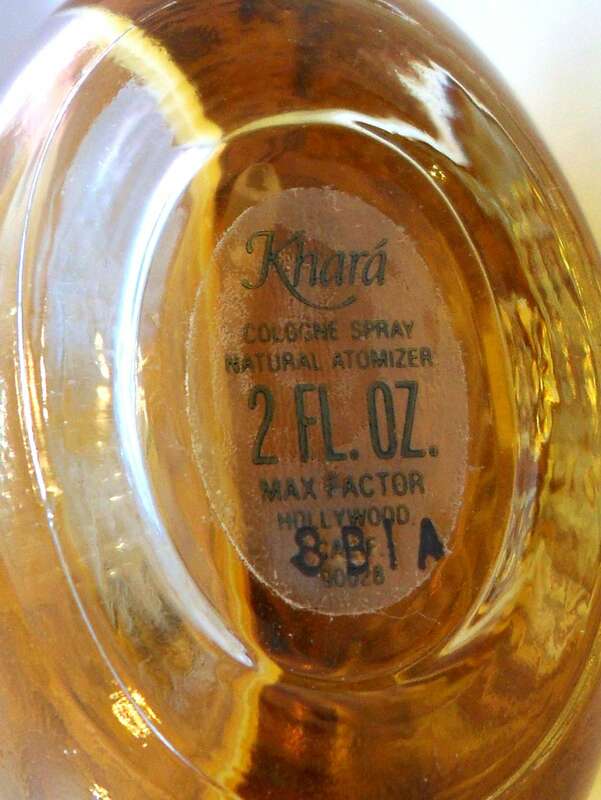 Khara by Max Factor 2 oz Natural Spray Cologne. No box. The bottle is about 90% full. 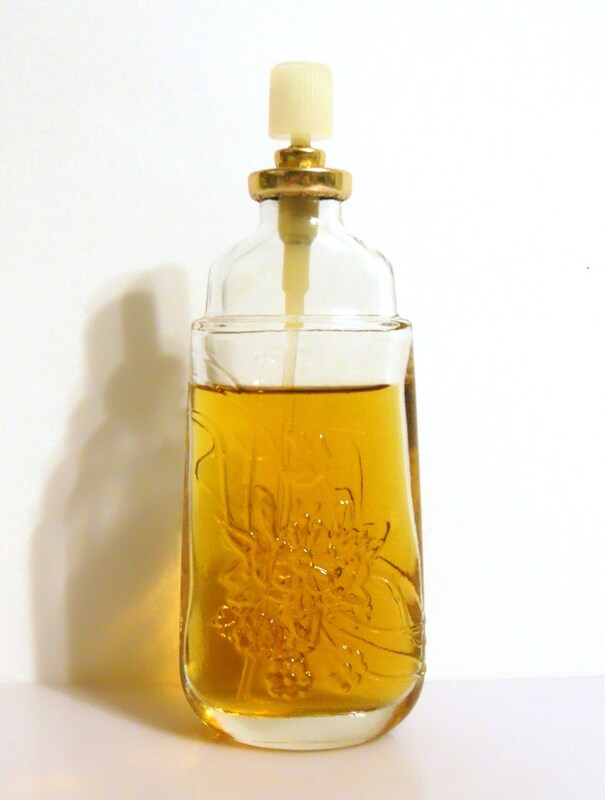 The perfume is old and no longer fresh, it is quite strong, very heavy on the oakmoss. Khara was launched in 1976. 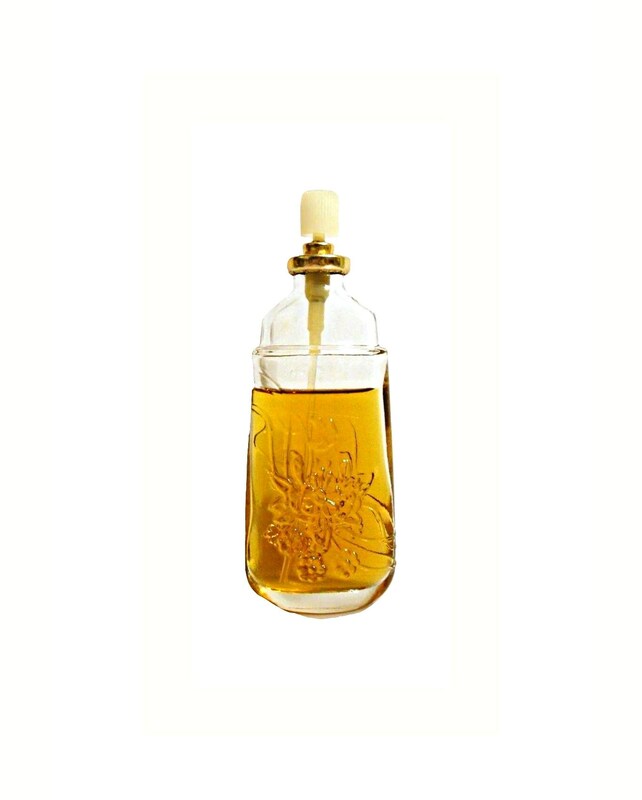 Khara is a city in Nepal and the thoughts of an Oriental perfume that wasn't a heavy scent intrigued many women. So what did it smell like? It was a light, spring-like fragrance. Opens with a sharp burst of lemon, green notes and spices. White flowers, heavy on the jasmine with some gardenia and tuberose thrown in. The base is classic chypre. Khara was discontinued around 1983. I think that Khara may have been pulled from the shelves due to a problem with Khara sounding too much like Ciara, a perfume by Revlon. But the real reason it was scrapped was probably because the word khara in Arabic means "feces".